This contemporary 3 Lite design barn door is pre-finished in our unique textured decor finish which requires no priming, painting or staining. The tempered frosted glass design allows for privacy as well as natural light to enter the room. Barn doors are also an excellent space saving solution versus a tradition swing door while adding character and a unique charm to any room. Our barn doors compliment any home, office or common space and include our hardened steel bent strap hardware kit and matching handle in matte black finish. This contemporary K-Lite design barn door is pre-finished in our unique wood grain finish which requires no priming, painting or staining. The frosted glass design allows for privacy as well as natural light to enter the room. Barn doors are also an excellent space saving solution versus a tradition swing door while adding character and a unique charm to any room. Our barn doors compliment any home, office or common space and include our hardened steel bent strap hardware kit and matching handle in matte black finish. 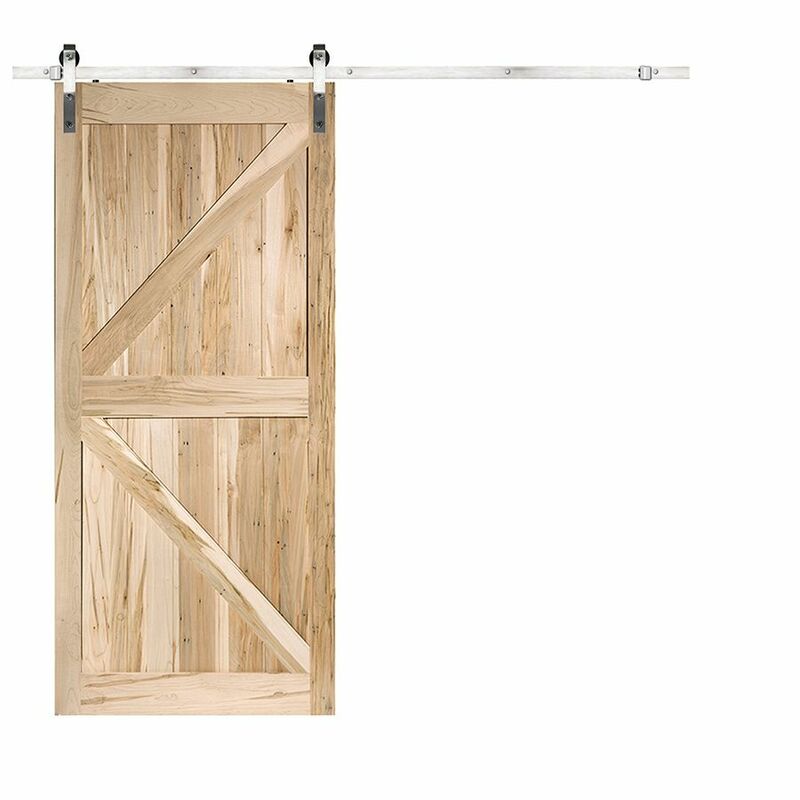 Rustic Country Maple K Barn Door Satin Nickel Bent Strap (6.6 ft.) - ENERGY STAR® is rated 4.0 out of 5 by 1. Rated 4 out of 5 by Amy2 from Looks Great! I just had this door hung and I love it! My only wish is that it would also come with a door pull that matched the bent strap.